New cruise ship Viking Jupiter has been delivered as the sixth ocean vessel for Viking Cruises. The cruise line will welcome ten more vessels to expand the fleet to 16 by 2027. The luxury cruise line has taken delivery of Viking Jupiter the sixth vessel now in the fleet. A ceremony took place at the Fincantieri shipyard in Ancona, Italy which is where the ship was constructed. This means Viking Cruises official takes over control of the new ship from the shipyard in preparation of the first Journey to Antiquities cruises starting on February 16, 2019. The ship will offer sailing between Athens and Rome starting this month. Throughout its maiden season, the new ship will offer itineraries in the Meditteranean and Scandinavia and Viking Jupiter will officially be named in Oslo on June 6 by her ceremonial godmother, Sissel Kyrkjebø, the acclaimed Norwegian soprano. Also Read: The Longest-Ever Continuous World Cruise Has Been Announced! 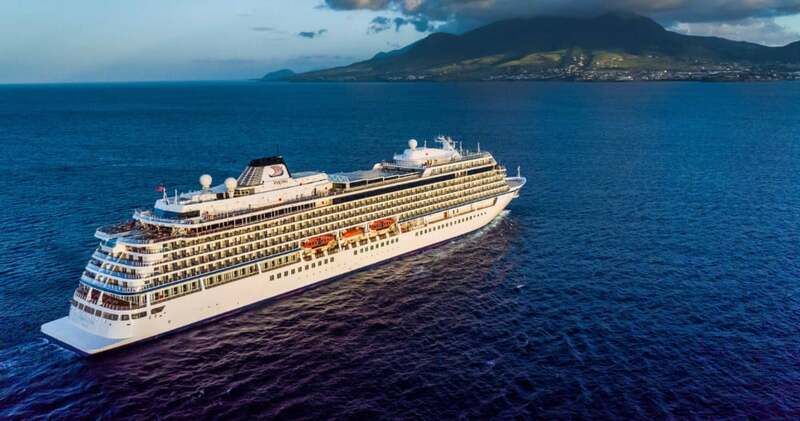 Viking Ocean cruise ships are simply stunning and provide guests a much more involved cruise experience with more time in port and extremely good service onboard. There are some major benefits cruising with Viking such as every cruise fare including an outside stateroom, one free shore excursion in each port and even free wi-fi throughout the voyage. We might just have to add a cruise with Viking on our list! Viking Jupiter is expanding the fleet at 47,000 gross tons and a guest capacity of 930 in 465 cabins. ten more ships are on order from 2021 which will make a fleet of 16 ships by 2027.